Do you craft with your kids? It’s a messy and sometimes hectic experience, but I love getting crafty with my girls. 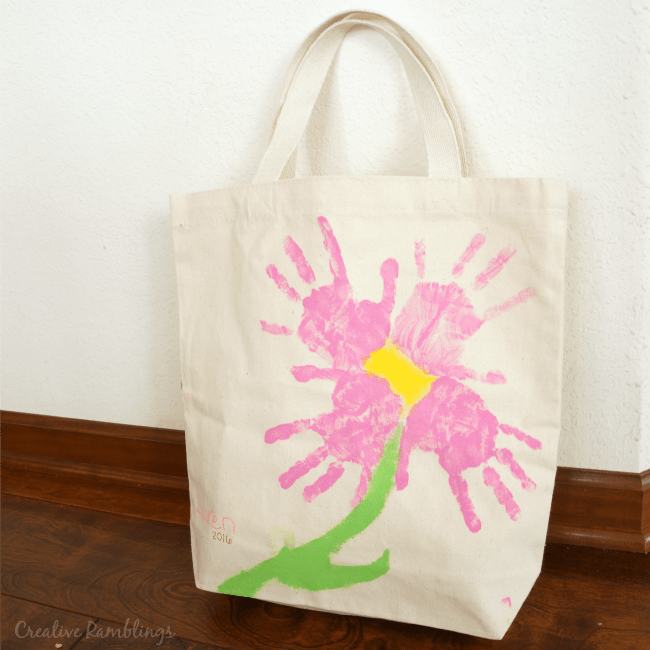 Little Lady and I had some time alone this week (little sis was napping) so we took the opportunity to get out the paint and make this adorable hand print flower tote bag. This would make a lovely gift for Grandma, or I may just keep it for myself. 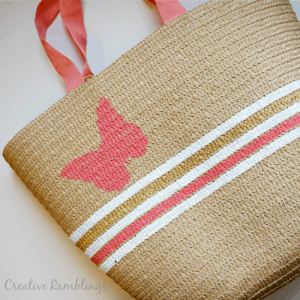 We used a canvas tote bag and acrylic craft paint to create this. I like this tote bag, it’s a nice thick canvas with a flat bottom that holds a good amount of whatever you want to fill it with. 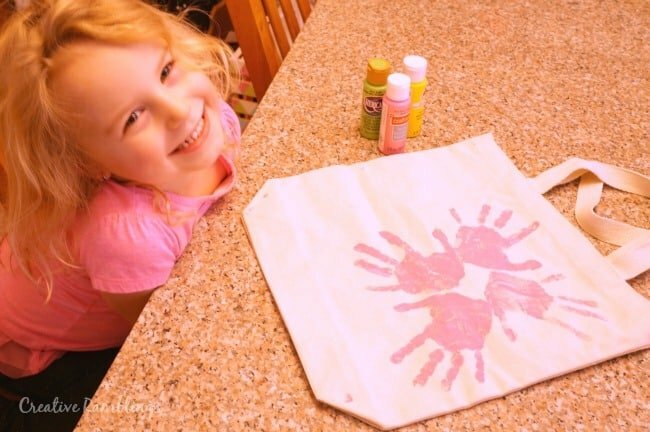 I painted Little Lady’s hands and let her create flower petals with her prints. Then I let Little Lady paint a stem and fill in the center of the flower. She loved having free reign to create this tote bag. 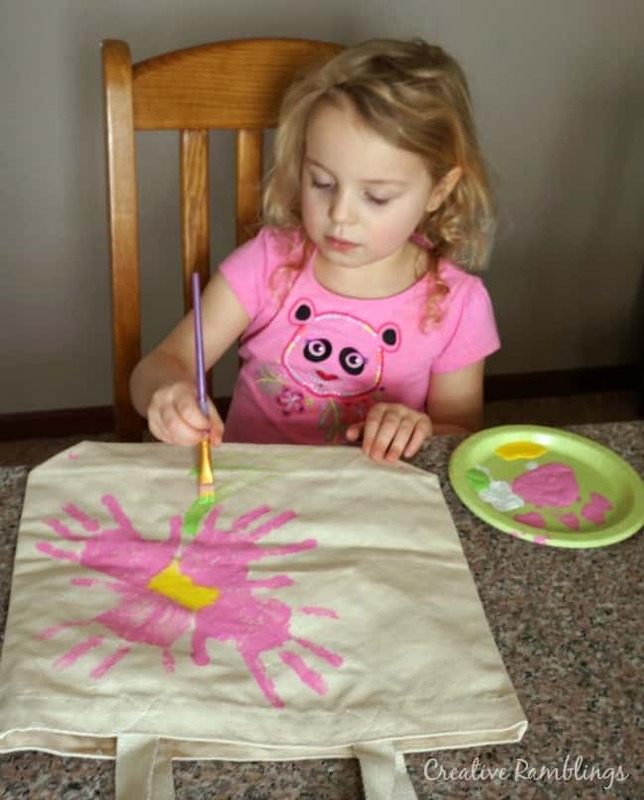 Once this masterpiece was complete Little Lady added her name and the year making it a very special personalized tote bag. 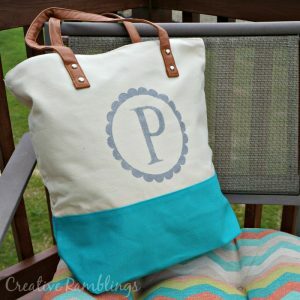 This tote bag will probably say in my rotation, however this would make such a personal and fun Mother’s Day gift for Grandma. I know Little Lady would love to make two more of these for the Grandmas in her life. 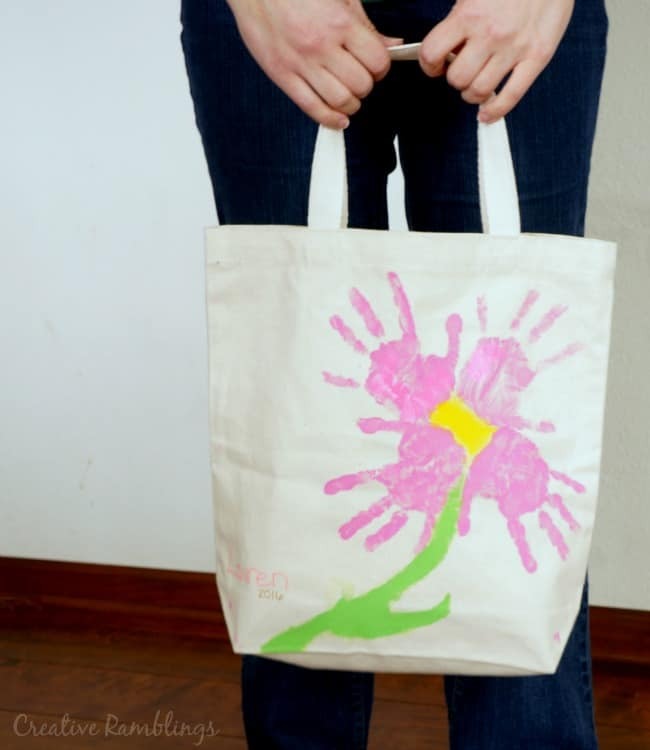 How would you decorate a tote with your kids? I’d love to hear your project ideas. Love this idea! Might try it with my son thanks for the idea!